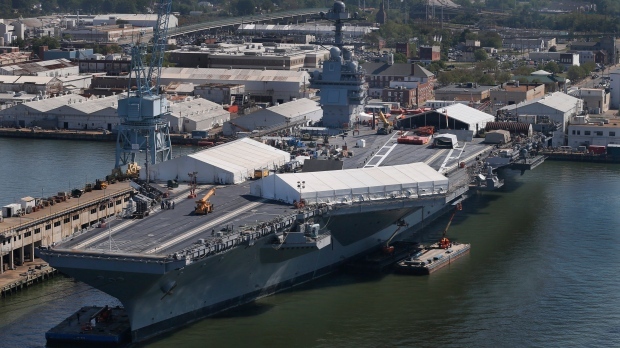 NEWPORT NEWS, Va. -- The Navy refers to its newest aircraft carrier, the USS Gerald R. Ford, as "4.5 acres of sovereign U.S. territory." The $12.9 billion warship -- the first of the Navy's next generation of aircraft carriers -- is in the final stages of construction after cost overruns and a delay of more than one year.